Ah, nothing can stop that picturesque childhood summer! It's going to be a season of sunny days, biking to spooky houses, and shoulder punching. The losers club is going to stick together and have a summer to remember, right? Well, yeah. It's going to be a summer to remember, that's for sure! 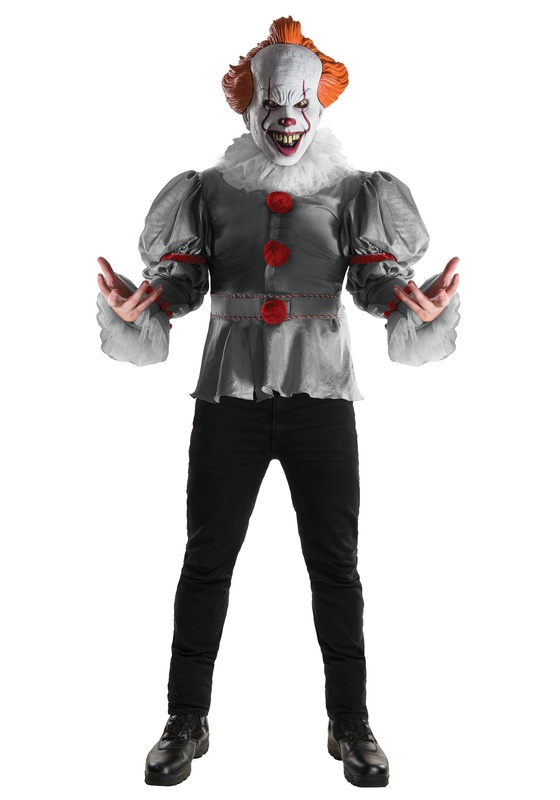 If you're ready to crawl out of the gutter and ruin everyone's good time, Penny wise is the character for you. We know, we know. You only wake up every thirty years or so. It's just so hard to decide what terrifying version of yourself to show up in. While the giant female spider that your otherworldly, eternal spirit sometimes resides as is definably scary it doesn't have the kind of creepy grace that you so desire. This is the spirit that has caused a whole generation to fear bathroom drains and stray red balloons. 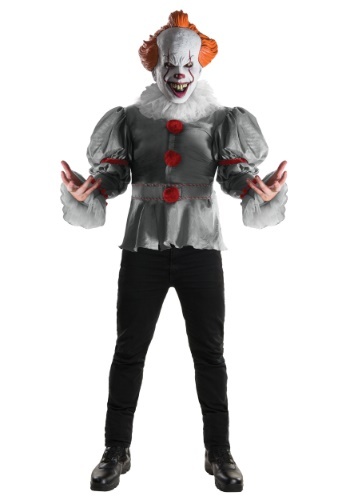 Yep, the only way to truly do the character of It justice is to dress as the unforgettable Pennywise even if you end up scaring yourself sleepless. Leave no doubt in their minds that there's something strange going on in the little town Derry. Maybe there's something in the water. This updated version of the updated yet frightening as ever Pennywise will terrify and stupefy anyone whether they're aware of your eternal power or they're innocent bystanders. This version has gone real old school with gray layered puffed sleeves, the classic red clown puffs, and a tulle ruff around the neck. Tell all those frightened souls to calm down. You're just there to show them how to float down there!